I have been teaching a series on Talmudic mysticism at a women’s Beit Midrash in Tzfat, and this week at the end of the shiur we discussed some of the mystical aspects of Hanukkah based on the material we have been learning. Rabbi Eleazar of Worms in his Sefer HaRokeach states that the lights of Hanukkah represent the light of the first day of creation as described in the Gemara Hagigah (12a). This was not physical light – that was created on the fourth day. Rather, according to Rabbi Eleazar in the Gemara, in the light of the first day a person could see from one end of the world to the other – it’s the light of expanded, prophetic consciousness. According to the Rokeach, Adam and Chavah got to experience this light for thirty-six hours – half of the sixth day of Creation and for all of Shabbat – after which it was hidden and reserved for the righteous. In commemoration, over the course of the eight days of Hanukkah we light a total of thirty-six lights. The class members then shared examples from their own experience of moments of surprising illumination in their lives. One story was especially striking. Most of the women in the class are Anglos, but I had noticed one woman with a Latin American accent who had made some perceptive comments throughout the class. She said “I have a story about hidden light.” She told us she is from Rio, and grew up as a Catholic. One night, shortly before her forty-fifth birthday, she had a dream in which a deceased uncle appeared to her and promised that on her birthday she will receive a special gift. When her birthday came, the local parish priest announced that they will be making a pilgrimage trip to Israel, and he specifically invited her to come along, which she was happy to do. They landed at Ben Gurion, in the days when you got off the plane on the tarmac and on to a bus to get to the terminal. When she set foot on the tarmac she got an electric shock that went through her whole body. She asked the people near her “did you feel that?” But they had no idea what she was talking about, and assured her that there could not be any electrical problem. But she knew what she felt, and it left a warm, lingering feeling in her – that she was home. The tour was eye-opening for her, and along with visiting the Christian sites they also learned a little about Judaism and Jewish practices, including Shabbat and kashrut, and what she learned stirred up a storm inside her. When she got home she called her aunt, her only still-surviving relative of the previous generation, and told her about the trip and what she found out about Judaism. She said that she learned that Jews use special meat and keep meat and milk separate – and she remembers her mother had a special pot for cooking meat and would not allow anyone else to touch it. She learned that Jews light candles on Friday afternoon and she remembers her mother doing this every week with no explanation. What’s going on? Her aunt, after a silence, said that since you discovered this on your own I can tell you. We are Jewish. We come from Holland, and when the family settled in Brazil your grandmother made everyone promise to hide our Judaism – we’re safe in a new country, no persecution, why make trouble for ourselves? But you have discovered this for yourself, so I can tell you. Your mother is Jewish and your father is Jewish and we are Jewish all the way back. The documents of our family history are in the Great Synagogue in Amsterdam. So she decided to see for herself and went to Amsterdam. After much effort she persuaded the Rabbi of the synagogue to let her into the archives, and she spent weeks in a cold, damp, dimly-lit basement going through old files and boxes, and found eleven documents relating to her ancestors confirming their Jewish lineage. Ultimately she made Aliyah, has learned a lot of Torah, leads a fully observant life and lives with her husband, also Jewish, in the Golan. The Rabbanut has confirmed their Jewish identity. She concluded her story saying that she feels guided by that hidden light and divine Hand that helped her discover her Jewish identity and has brought her and her family home. This week’s parashah also features surprising turns of events revealing a hidden guiding light and divine Hand. Yosef is languishing in prison on false charges. He had interpreted the dream of the butler incarcerated with him, accurately predicting he would be reinstated in his job, and had asked the butler to remember him and petition Paro to pardon him, but the butler forgot. Our parashah begins two years later. Paro has disturbing dreams and needs them interpreted, the butler remembers Yosef and he is called before Paro. Not only does Yosef interpret the dreams persuasively, but he adds advice on how to proceed to avert harm from the famine they predict and Yosef is appointed vice-regent of Egypt to put his advice into effect. This puts him in position to witness his own childhood dreams coming true when his brothers are brought down to Egypt due to the famine and bow before him. Rashi brings the midrash that the two-year delay of Yosef’s release from prison was a divine rebuke. Yosef’s mistake is “because he depended on [the butler] to remember him, so he had to remain imprisoned for two years, as it says ‘fortunate is the person who makes HaShem his trust and does not turn aside to the arrogant nor the false (Ps. 40:5).’ (Rashi Gen. 40:43)” This seems harsh – why not assume that Yosef did trust in HaShem, but was also making some effort on his own behalf – in case that was part of the divine plan? The Mahara”l explains that the way the Torah tells us the butler emphatically forgot Yosef and only grudgingly remembers him in our parashah shows that those extra two years were a punishment, and Yosef was really relying on the butler to save him. It’s appropriate to make efforts on our own behalf, but together with full trust in HaShem. Yosef learns and applies this lesson the rest of his life. 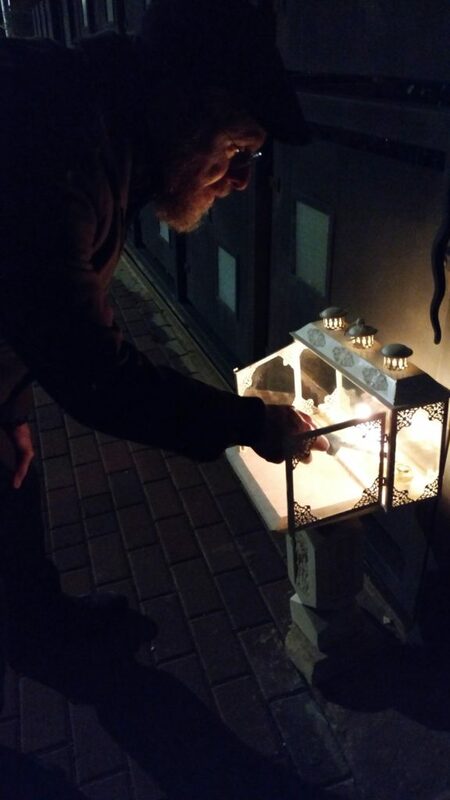 This combination of trust plus action is also at the heart of our Hanukkah observance. We commemorate in prayer the daring, against-all-odds military victory of the Hashmonaim over the Syrian Hellenists, and commemorate in our mitzvah action of kindling the lights the miracle of the oil that confirms the divine empowerment of that victory. By contrast, in the Gemara, Bar Kokhba, fighting for liberation against the Romans, is faulted and ultimately fails because of his arrogant self-confidence in brushing off divine assistance. According to the Gemara, when he went to battle he would say to God “Lord of the world, don’t help us and don’t hurt us,” as if to say we can handle this ourselves. (Yerushalmi Ta’anit 4:5). He couldn’t, and we can’t. Today we are facing our own dangerous challenges. This week Hezballah attack tunnels penetrating into northern Israel have been revealed and the Israel Defense Forces are in process working to neutralize them. This Lebanese invasion into Israel, under the noses of the worse than useless Unifil, is already essentially an act of war, and clearly indicates Hezballah’s intentions, which have been pretty transparent all along anyway. The escalating tensions make it seem that war is only a matter of when. No one has any illusions: if it comes, it will be hard. We have enemies on two fronts, three if you count Iran. They are armed with over a hundred thousand missiles and the Hezballah fighters have experience in brutality fighting for Assad in Syria. The Israel Defense Forces are a capable, well-trained, well-equipped citizen army, but this is an existential threat and we will need help – HaShem’s help. 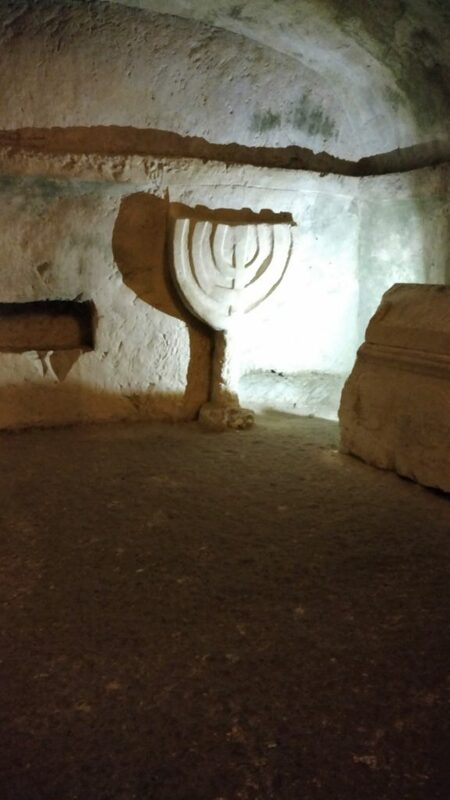 Shining a light on those hidden attack tunnels was already a bit of divine guidance, and be-ezrat HaShem, in the spirit of the Maccabees, we will be able to prevail over these violence-obsessed people who are an embarrassment to their religion and to humanity. 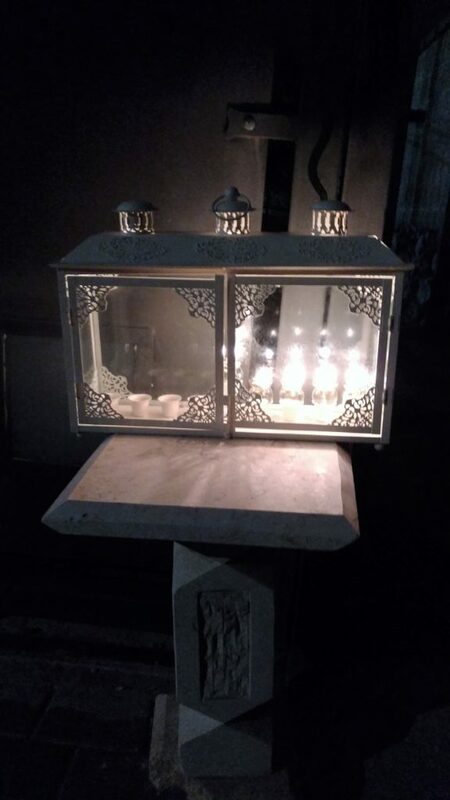 May HaShem continue to guide us all with His hidden light, to protect us and do miracles and wonders for us as He did for our ancestors in those days, in this time.